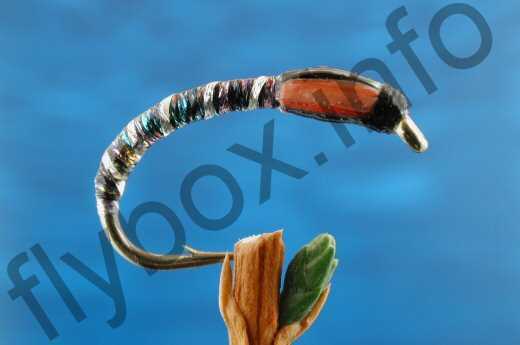 The Pox Buzzer is is a deep searching pattern that has produced large fish on a consistent basis. It was designed for use on lakes and has been successful in the UK, USA and Canada. When the fishing becomes difficult, this fly will often save the day. Thread : UNI Cord, black. Rib : Flat fine silver. Body : UNI Axxel Rainbow. Cheeks : Red Goose biot. The fly when tied is then covered totally with epoxy resin. Shrimp/Buzzer. Currently there are no comments about the Pox Buzzer fly pattern from other fly fishermen yet.